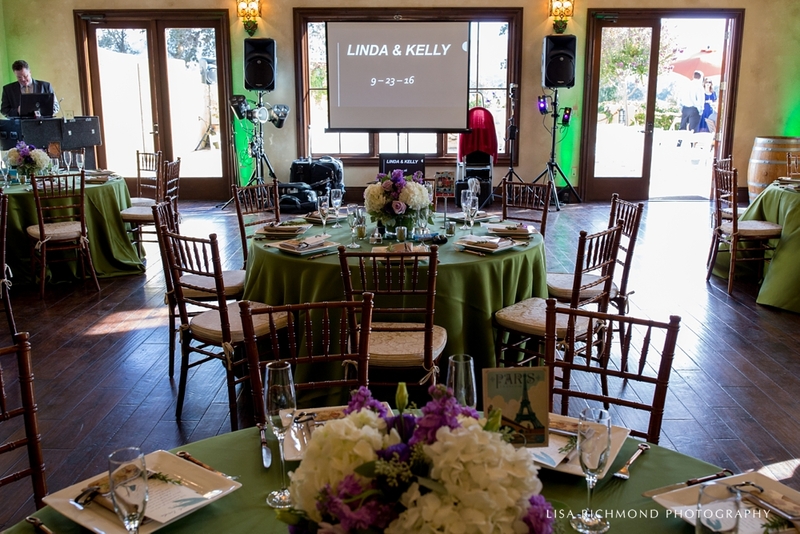 This natural garden wedding held at Las Positas Vineyards in Livermore California was soft and romantic with a casual travel theme. The two lovely brides both carried garden style bouquets with stunning blooms in purple, green and white including roses, bells of Ireland, freesia, stock, lisianthus, lavender and dusty miller. 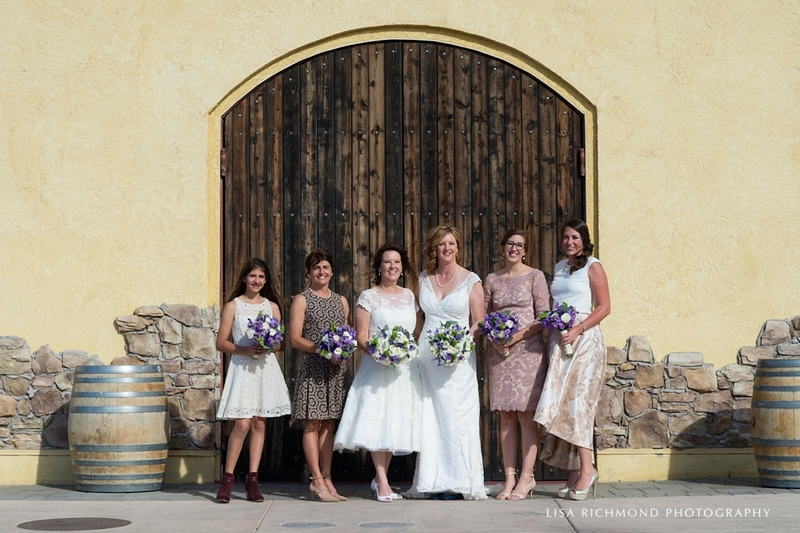 The four bridesmaids each wore different dresses and carried bouquets of roses, bells of Ireland, stock, lavender and freesia. 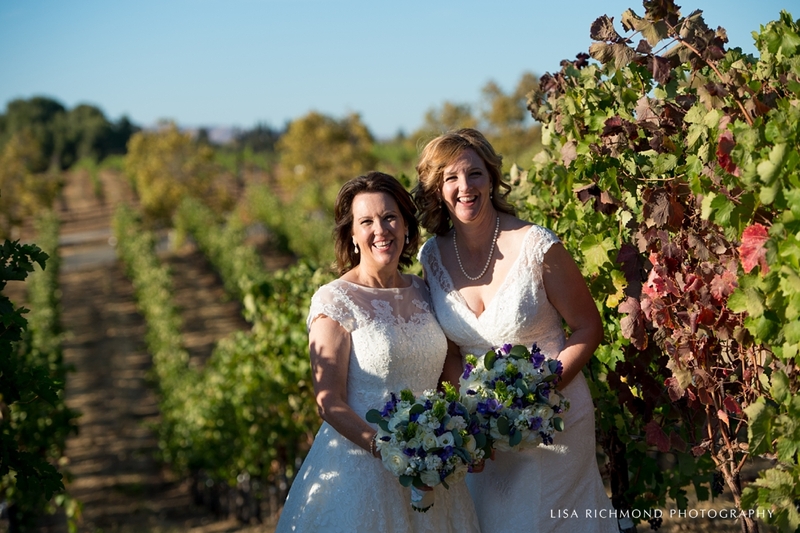 The sprawling views of the Livermore Valley from the ceremony site was perfect for this romantic wedding. 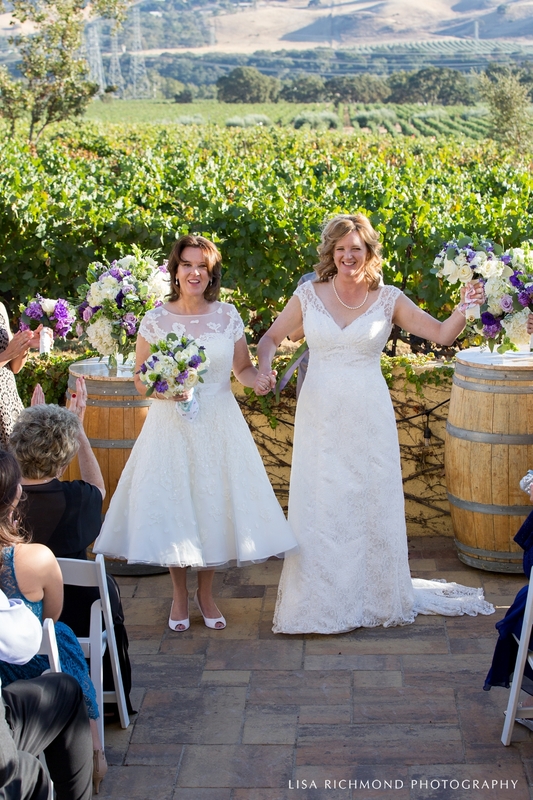 The brides were beaming with love and joy as they said "I do" in between two wine barrels adorned with low rounded garden arrangements with hydrangeas, roses, Bells of Ireland, stock, lisianthus and seeded eucalyptus. 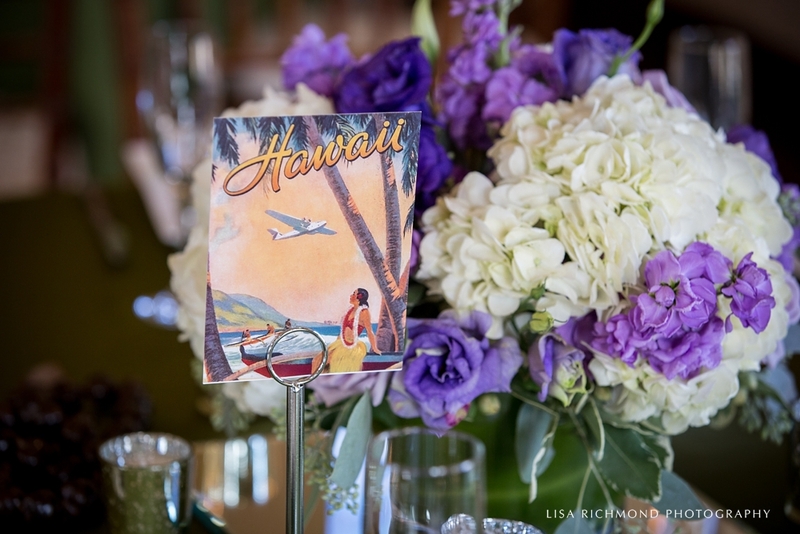 The the sweet yet stylish indoor reception had Olive Lamour linens from Napa Valley Linens, travel themed table numbers and favors and low lush centerpieces in white, purple and green. 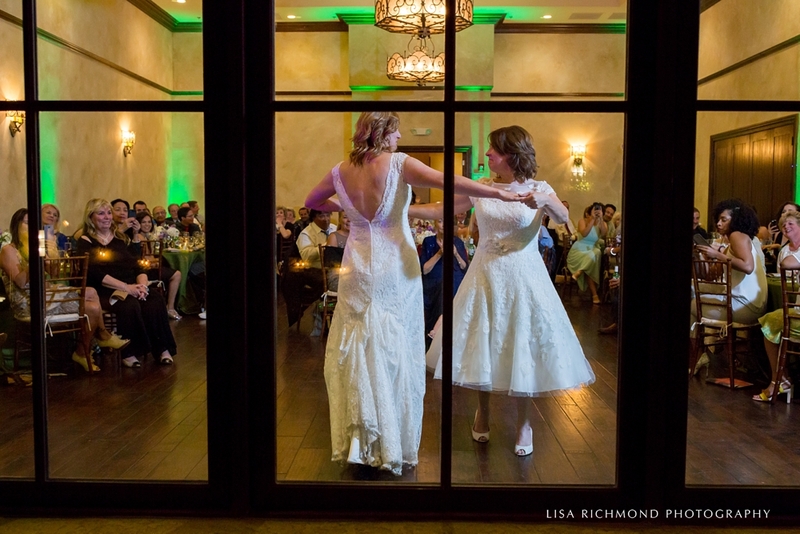 The enchanting photos were captured by Lisa Richmond Photography.